Another surprise of Galaxy S5 specifications is the IP67 certified dust and water resistant feature. This may be not new for smartphones because Sony has provided this for some time already. This means there will not be Galaxy S5 Active. Again, Samsung learns from the failure of launching Galaxy S4 and Galaxy S4 Active separately. Dust and water resistant is a welcomed feature. Nowadays, people usually do not take care of smartphones very well. They may use the phone with wet fingers. Coffees may be spilled on the phone. Now these are not issues with Galaxy S5. Based on the announcement, you only need cover the USB port to get the full protect from dust and water. Please note, IP67 certification for Galaxy S5 does not mean you can use the phone under water for long time. IP67 normally means it is waterproof, but not for underwater use. IP58 or IP68 certification means you can use it normally under the water (the depth and duration depends on vendor’s specs). MIMO is not new for tablets (Nexus 7 is the first Android device featuring MIMO). But galaxy S5 probably is the first smartphone with this feature. If MIMO is too geeky for you, you just need know this will simply makes the WiFi connection faster and more reliable. Download booster lets you use the LTE and Wi-Fi simultaneously so that you can use the combined speed of your 4G mobile connection and WiFi connection. This is something new in mobile devices. In all existing mobile phones or tablets, mobile data will be stopped once WiFi connection is established. If you just check the pixels in Galaxy S5 specifications, you may be disappointed. The sensor is 16MP, not the rumored 20MP as in Sony Xperia Z1. But you should be glad to know Samsung now focuses on the real life usage of camera. They try to improve the performance, instead of the hardware specs or just number of pixels. The most notable improvement is fast autofocus. Samsung claims it is 1/3 seconds. This is amazing. Of course, there are some disappointments in Galaxy S5 specifications. Here I list the top 5 of such Galaxy S5 disappointments. Most of the rumors said there would be 3GB RAM. Because Galaxy Note 3 already shipped with 3GB RAM. So it is logical to assume the next flagship phone should use 3GB or more. I’m not sure about the justification behind this. Saving cost is one possible explanation, but this does not make sense if Samsung wants to make S5 the flagship phone of 2014. The logical assumption is that Samsung will launch the rumored Galaxy S5 Prime, which will upgrade S5 with more RAM and may be even the rumored 2K display. Very likely, Samsung will launch this after iPhone 6 to defend its market. As for Galaxy S4, Galaxy S5 starts with 16GB internal storage. This is a disappointment for some potential buyers. If you get the phone from the carrier, very likely, they only distribute the 16GB version. Although you can add a Micro SD card, large internal storage is still preferred because most apps and games become larger and larger. Some apps simply does not use external SD card. Samsung loves plastic. Galaxy S5 is still plastic. If you are going to use a cover or case, actually you probably do not care about it at all. There are some exciting improvement in Galaxy S5’s camera. But the biggest disappointment of the camera in Galaxy S5 is the lack of optical image stabilization (OIS), which is available in most low-end point-and-shot cameras. For mobile phones, LG introduced it and it works very well. Battery life of Galaxy S4 is not impressive. Most people expect a battery with a larger capacity. Although it seems Samsung slims down the TouchWiz in Galaxy S5, the 2800mAh battery probably cannot provide decent battery life for heavy users. 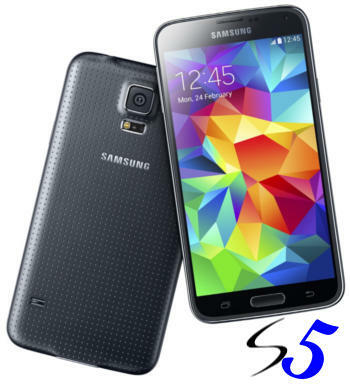 What do you think about the Galaxy S5 specifications? For Samsung phones, radio is not available for LTE-enabled phones. The reason is quite vague. Sometimes, they refer this to some technical issues (LTE+FM radio). But this probably is not the real reason.